Paint and Sip events are social events that give people the chance to get creative, and express themselves, with old friends and new ones. Put a glass of your favourite drink in one hand, and a paintbrush in the other and create your own personal masterpiece. Come along and pour your art out with us. The concept is simple. 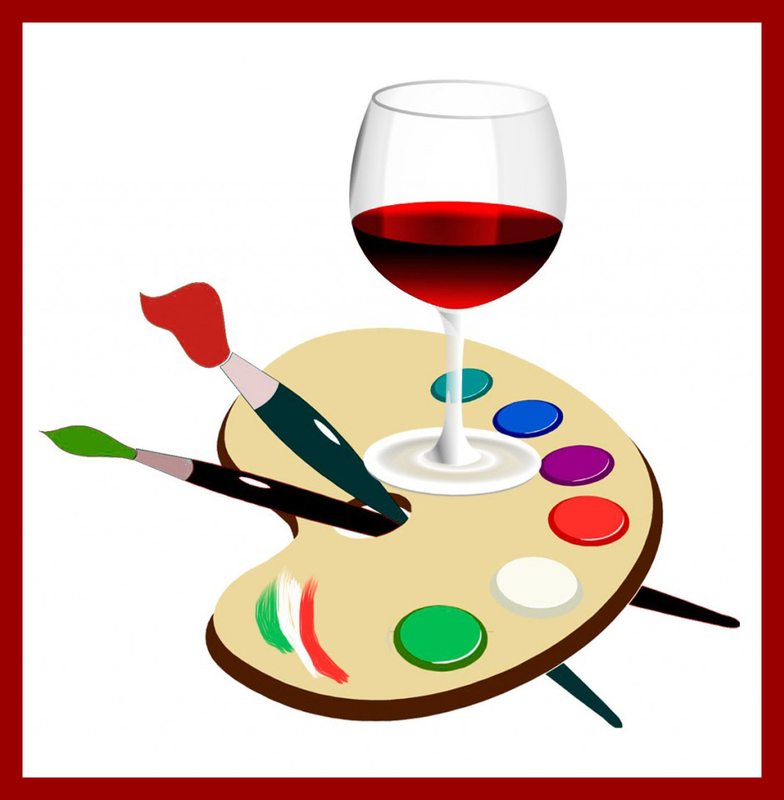 Go to Paint Night Party Events make your choice and buy a ticket on-line. Arrive at the venue 15 minutes before the start time and get ready to party and paint. Grab your seat, visit the bar to grab a drink and maybe order some food. Put on your apron and enjoy yourself as you go with the flow with a glass in one hand and a paintbrush in the other. We quickly introduce ourselves, switch on the themed music, and off we go. Our artists will take you on a step-by-step journey that takes you from a blank canvas to your own personal masterpiece that you can take away with you, Hang your masterpiece on your wall or give it to your Mum or Dad, they will love it. You don’t have to follow the leader exactly, you can free style. If you want to have pink blossom rather than white, then go ahead. The most important thing though is that you have fun. After all it is Fun Art and not Fine Art. You don’t need skill to paint, just the desire. No experience is necessary, and we provide all the materials and equipment that you need – come with nothing and go home with something – your own masterpiece. We can also provide a frame for your masterpiece at a reasonable price. Food and drink is not included in the ticket price (unless specified) and can be bought from the bar. Furthermore we don’t just run public events. We can also run Private, Fund Raising, Date Night and Corporate events and we offer full packages to suit all needs. Tickets are on sale to the general public. We advertise in the venue and on Facebook, the venues also put links this site on their Facebook pages. Follow the links and book. Come one artist – come on all. Make a Paint Night a Date Night. We will be running specific Date Nights where two canvases can be pushed together, with each of you working on your own side. Many of the paintings we do in our usual nights can be done in this manner though. It is just that a Date Night Paint Night painting is specifically designed for the 2 canvas format. You join your canvases together, and between you, you paint a painting in 2 separate halves that are joined together to make a whole. Like you hope to be maybe? As well as being huge fun, they are great ways to talk to each other. We can run an event specifically for your own group, maybe a birthday celebration or an anniversary. We can help charities and voluntary organisations raise money in a number of different ways. You would receive donations based on ticket sales, and also any other way you wanted to raise money; a raffle maybe. We can run an event specifically for you. There would be a fee of £600.00 to cover up to 30 people. You market the event and sell the tickets yourself for whatever you want. We suggest though, that you keep it near our normal £29.00 price. Furthermore, we would be more than happy to put some tickets on general sale if necessary. Another way we can help you is to allocate a few tickets per event to you and supply you with a code that you can give to people. When the code holder buys a ticket, the code will give them a reduction in the ticket price, and also notify us that we need to make some donations to you. Do you want a day out with a difference? Art is a creative process, and our lead artists will guide you through the process to turn a blank canvas into your own masterpiece. You can though do your own things – we encourage freewheeling and creativity. Your event could either be a fun time out away from the office for your staff, or could be integrated into a senior management conference. Maybe the picture to be painted could show the painter’s idea of a better future – a form of rich picture..